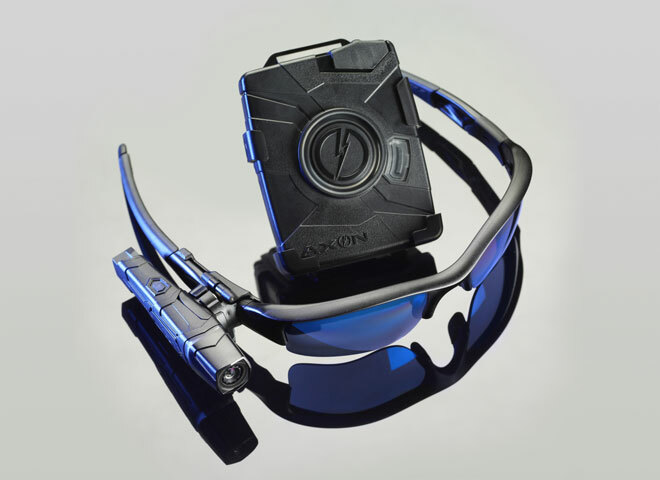 Los Angeles Police Commission President Steve Soboroff has officially secured funding for roughly 600 body-worn video cameras that he plans to equip on LAPD officers as soon as this coming summer 2014. “I thought it would take 9 months,” to raise the $1.3 million needed for the project, he said — and it ended up taking only 58 days. 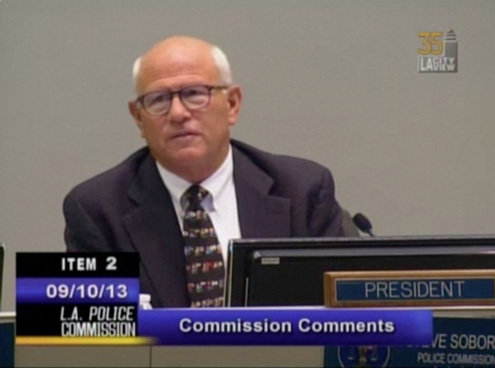 Back in September 2013, Soboroff used his inaugural address as Police Commission President to declare that it was going to be his mission to not only equip police officers with body-worn video cameras, but to also personally go out and find funding for the project, purposely bypassing the slow, bureaucratic process of securing funds from the city of Los Angeles. Soboroff has also stated that he feels the new technology will save the city roughly $20-30 million a year in attorney’s fees and departmental time. The idea of police wearing body-worn video cameras has been around for a while, but only recently have police departments across the country started to take the concept more seriously. Currently, the most common form of video used in police investigations is surveillance video, video recorded on smartphones, and of course police dash-cam video. But the idea of every officer having a personal video-log to refer back to is surely something that could be very beneficial to every aspect of police interactions and investigations. However, going forward, there are of course going to be administrative initiatives to establish the rules of using such recording equipment, such as when an officer can turn the cameras on and off. Soboroff made a point to say that the operating procedures will prove to be crucial to ensure that the equipment isn’t used to simply document one side of the story. Currently, there are several groups of officers that are testing out several different types of cameras to see which ones are more favorable than others. With that, there are still several companies bidding to supply the cameras, including TASER and Coban Technologies. Soboroff has already established himself as reliable and a man of his word. It will be interesting to see the direction in which he leads the LAPD. During his opening remarks after being newly elected as Police Commission President, Soboroff claimed he would be bringing a new style of aggressiveness to the position, and already, it would appear he is a man of his word. The Los Angeles Police Department will soon get a technological makeover, according to the new LAPD Police Commission President, Steve Soboroff. The LA Times is reporting that a few minutes after Soboroff was elected President of the commission this past Tuesday, he used his opening remarks to bluntly call for the LAPD to begin outfitting their officers with small video cameras, saying the technology needs to be in place soon: “I mean within 18 months, not 18 years,” he said. Since the infamous Rodney King case in 1991, there has been a push for the LAPD to implement video cameras in all of their patrol cars, but funding throughout the years has been a constant factor in hindering the on-going project. Then, in 2008, the Los Angeles City Council was able to provide enough money to install cameras in about ¼ of the LAPD’s 1200 squad cars, saying more cameras would be installed over the next few years. However, 5 years later, that original ¼ has yet to expand. Equipping officers with digital audio recorders, or “DAR’s” as they’re referred to, is nothing new. However, equipping them with video recorders is a new concept, only because the technology has finally come to a point where the video cameras are finally small enough and have enough quality resolution to make video an option. Many law enforcement departments across the country have been experimenting with body worn video systems over the last few years, and some police officers these days even personally choose to wear the devices, without the instructions of their department, in order to “cover their own tail,” so to speak. This concept is actually a major theme in the recent film End of Watch, starring Jake Gyllenhaal. And safe to say, there’s a good chance Soboroff will indeed be able to find these “private donors.” A successful and wealthy businessman, Soboroff was instrumental in getting the Staples Center built in the late 90’s (among other mega-projects), and most recently played a major role in working with NASA to get the Space Shuttle Endeavor permanently exhibited at the California Science Center. Soboroff gets the job done, and it seems he will be bringing a more aggressive style to this job than his predecessors. “I absolutely plan to bring a new approach to this job,” he said.